- It is the third time we've participated in Elektro. We've made the decision to exhibit this year despite the external environment because regardless of this we get feedback from our regular customers. Besides, the trade show was accompanied by an interesting conference on competitive policy in the field of government contracts where a representative of the antimonopoly service gave a report. We've got a lot of useful information. We also generated new leads, got acquainted with new partners, and met our regular partners who had been invited to the trade show. Today, our company is the only one in Russia which makes carbon fiber heaters with LED light. We showcased customers other products. The interest was great. We got great feedback. 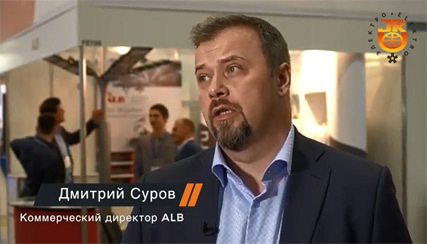 We also spoke with a number of leading companies in the field of energy supply, such as Lukoil, interested in our new products which we hadn't used before. We think it was the right decision to take part in Elektro. - It's not the first time we've taken part in Elektro. We consider the trade show an effective platform. Elektro brings together the necessary target audience. Here are many visitors which we're interested in and whom we need to develop our business. This year we put on display a renewal of our product line with a new design and the orange colour prevailing. It complies with our motto "Energy for life". There were a lot of visitors and they showed a great interest. We, undoubtedly, like Elektro. We like how it is organized and that the organizers try to attract the audience we need. We appreciate it and hope it will continue. - We've made our debut at Elektro. 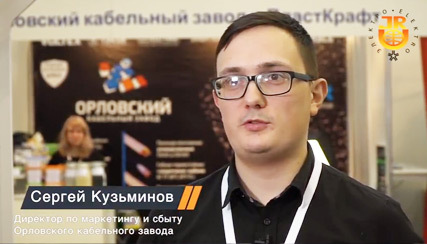 We were invited to join the Made in Russia stand because we are developers of domestic software. We plan to take part in other editions of Elektro and in other trade shows organized by Expocentre such as Navitech. The Made in Russia stand has attracted visitors. It brought us big profit. At the trade show our software is very popular since it can collect data from any equipment and devices such as electric meters, water meters, and heat calculators. Our stand was attended by representatives of utility companies, housing and public utilities, horticultural societies, and CEOs of manufacturing companies. The visitors to our stand arrive from all over Russia, from St. Petersburg and Moscow to Vladivostok. We felt very comfortable at the trade show. Everything is done at the highest level. It's very convenient that Expocentre is located in the centre of Moscow. 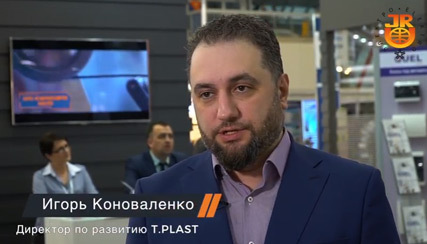 It gave us, as a participating company, a great advantage – a large number of visitors. - Participation in Elektro is our tradition. We bring the equipment that is interesting to both individuals and industrial consumers. Every year we try to change the design of our stand. We make it interesting and comfortable so that visitors could see small and big items at once. We're quite satisfied with the services provided by Expocentre, that’s why we annually take part in the trade show. Our stand is well-located. We are attended by customers as well as promising partners. - It is not the first time we've participated in Elektro. Last year we took part in World Skills. 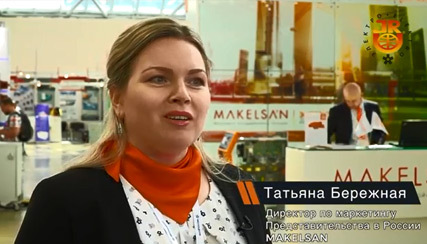 This year we've chosen the Made in Russia exposition because our company is a resident of the Russian Chamber of Commerce and Industry and an exporter. We present ourselves as a company which is ready to enter the international market. That's why participation in the group stand seems more convenient for us. Generally we're satisfied with participation in the trade show: a large number and high quality of visitors, target clients, and foreign contacts. We’ve easily settled our matters at the exhibition. We take part in supporting events as well. First of all, we're interested in the power industry, the Labour Exchange, and the Customer Day. We participate almost in all activities that take place at the trade show. Expocentre is an excellent platform to stage different events which meets the demands of the industry: good services and convenience. 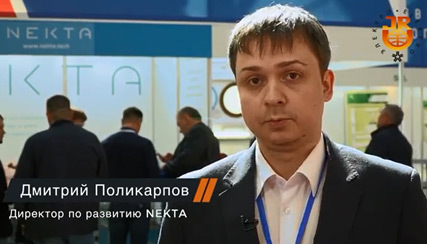 Even though our company is a regional one and not the largest one, participation in Elektro is interesting for us. To be here, in the centre of Moscow near Moscow City, is very convenient for professionals. We would like to develop a co-branding system of participation. Our partners and suppliers visit our stand; we consider an opportunity of joint participation in the national or regional group stand. It will enable us to increase the exhibition space, promote the regional brand, and reduce costs for participation in the trade show. It's the most effective solution for such companies as ours. - It's the fifth time we’ve participated in Elektro. It's one of key trade shows for us. 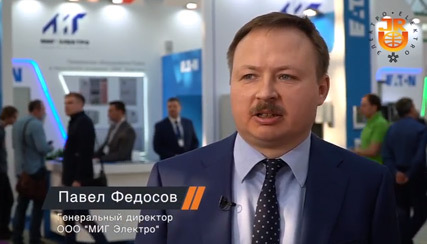 During the exhibition we've held negotiations not only with our key partners and new customers but also with the Russian Ministry of Industry and Trade on support of Russian manufacturers and with such companies as RUSAL and Gazprom on cooperation with key accounts. We have recouped our costs spent on the stand at all trade shows. Elektro is wonderful. The services provided at the exhibition are of high level. We have an opportunity to compare with Europe and we're glad to note that Russia has a European service level. We'll certainly participate next year.